So. 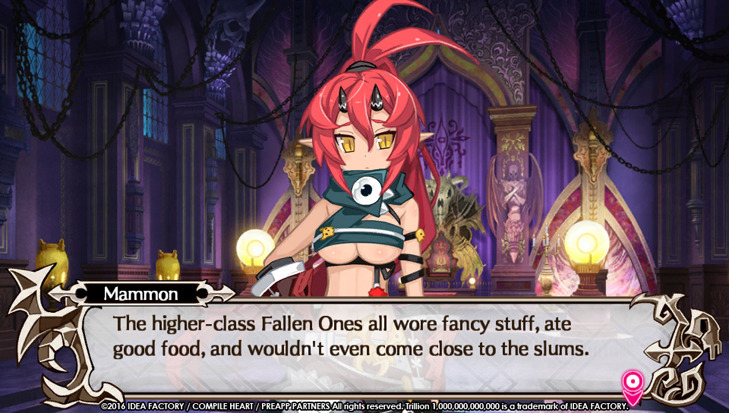 I couldn’t find any screenshots of Mammon in action, but Trillion: God of Destruction assures me this is a combat themed game and that is what Mammon looks like on the battlefield. You’d think with all that excess money she could afford some clothes.